This 12,000 square foot fire station features a large training/community room, a residential style kitchen and adjacent dayroom, an exercise room, six sleeping rooms and six offices. Two large vehicle bays are provided along with 1,200 square feet of mezzanine storage. 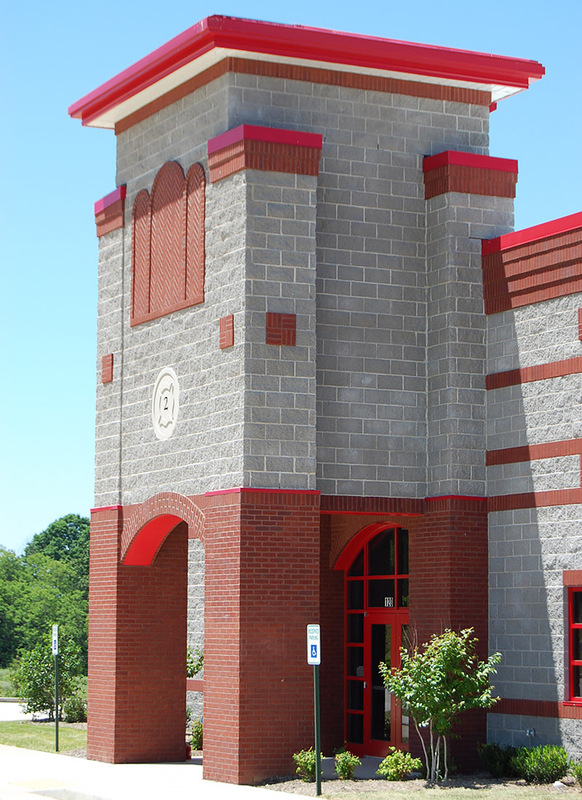 Although the brick and split-face block exterior of the building is primarily contemporary in nature, there are features reminiscent of earlier fire stations such as the arched openings over the bright red steel and glass bay doors, and the distinctive tower at the public entrance. Other distinctive features of the project include a geothermal HVAC system and a separate masonry training tower designed to complement the style of the main building.